You can get a cup of coffee and a bagel for $2 on the streets of NYC; same goes for a hot dog. But if you get accepted to NYU Stern, you should not get used to these bargain prices. Second to Stanford GSB, NYU is the most expensive MBA program in the world totally an astonishing $184,532. It is also one of the largest programs, with about 2100 students roaming its halls. While NYU Stern’s reputation in finance precedes it, there are more fields being developed every year as the school is dedicated to gaining a well-rounded reputation. In their recent years, Stern had just as much graduates go into consulting as they did finance. Moreover, in order to further deepen their grip on other fields, Stern has started many immersive programs such as “Tech in the City” to get students unmatched hands on experiences in real startups, as well as the “Center for Business and Human Rights” to delve into the fields of social and not for profit business. The NYU Stern application is unique in that it offers an essay that is a “personal expression” in which students are invited to send in anything they want, in any medium, as an expression of who they are. The admissions committee refrains from commenting on past submissions so as not to influence prospective students in their decisions to craft their entry. So keep in mind: NYU Stern wants your work to be reflective of you rather than a product of what you think they want to see. At Ivy, our MBA admissions consulting team can help you get accepted to NYU Stern Business School. 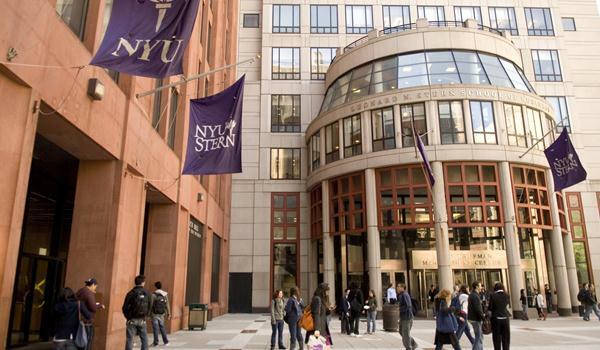 NYU Stern offers a portfolio of MBA programs designed to meet the needs of our applicants. Your program preferences are very important as you may be admitted to only one program. You cannot switch your program option after receiving your admissions decision. Please indicate the primary MBA program for which you would like to be considered, as indicated in the Primary Program Selection section of the application. Explain why the program you have selected is the best program for you. Please indicate any alternative program(s) for which you would also like to be considered, as indicated in the Alternative Program Selection section of the application and why you would also like to be considered for this/these program(s). An alternate program does not need to be selected. If you have no alternate programs you do not need to complete this essay, just indicate “N/A”. Please provide a brief description of your interaction with the applicant and, if applicable, the applicant’s role in your organization. Describe the most important piece of constructive feedback you have given the applicant. Please detail the circumstances and the applicant’s response. (Optional) Is there anything else we should know? The EQ Endorsement is a unique element of the NYU Stern application. IQ+EQ is a core value of NYU Stern, and we seek exceptional individuals who possess both intellectual and interpersonal strengths. Emotional intelligence (EQ) skills such as self-awareness, empathy, communication and self-management are at the core of our community of leaders. When I prepared to select a company to help me fulfill the dream, I met with a competing local company and spoke with the manager of a leading U.S. company, but I did not feel that these were the people for the job. A reference from a friend and a conversation with a former colleague studying MBA abroad led me to leave my contact details at Ivy’s web site. On that same day, Boaz called me from New York. Although I was only shopping around at the time, and I was one of many, Boaz already knew my resume in depth and was patient and attentive to all my questions (and believe me, I had a lot). I knew then that I was talking with a real pro and felt that these were the people to take me all the way. A meeting with Eli over coffee gave me the same strong feeling. We were on our way. Interested in learning more about NYU Stern’s unique admissions requirements? Read this interview with NYU Stern’s very own Director of MBA Admissions, Lisa Rios, for the inside scoop. For more about applying to other schools, check out application and admissions info for other top MBA programs.